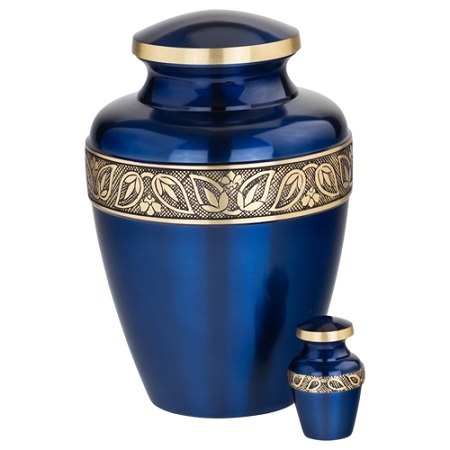 The Sapphire Blue Brass Urn makes a statement with its strong blue color and rich gold details. 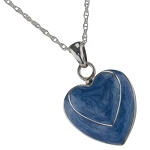 Blue is a calming color but also is associated with depth and strength. 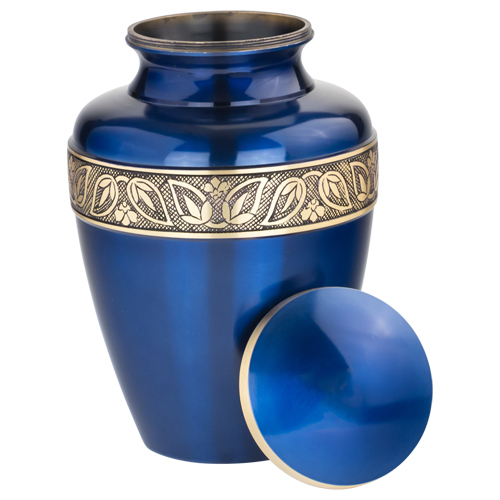 This shade of blue also reminds many people of the sapphire gemstone or the intense color of an ocean or a lake. 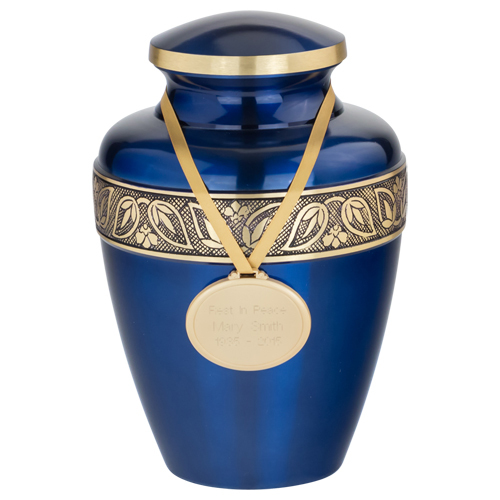 The Sapphire Blue Brass Urn can be meaningful tribute to a loved one. 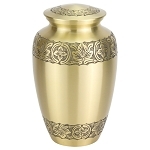 This brass urn has the capacity for the ashes of an adult weighing up to 180 pounds prior to cremation. The Sapphire Blue Brass Urn can be personalized with direct engraving of text and artwork. 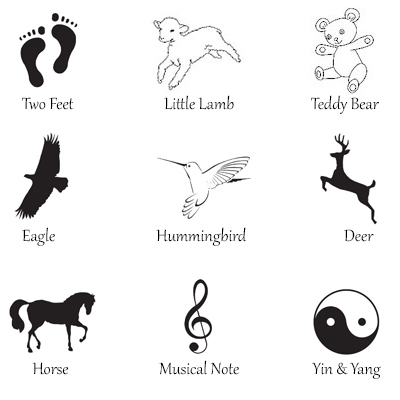 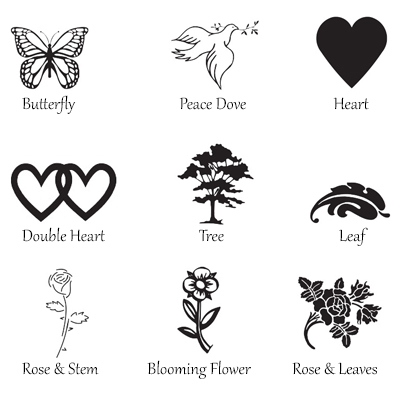 Our staff will expertly engrave up to three lines of chosen words (23 characters or less per line). 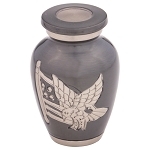 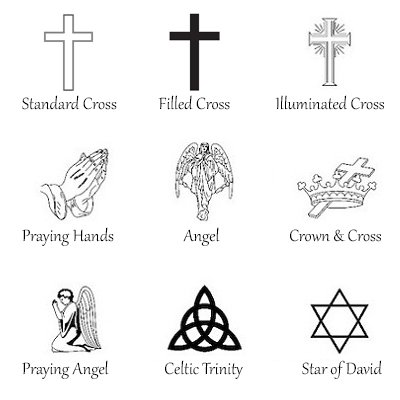 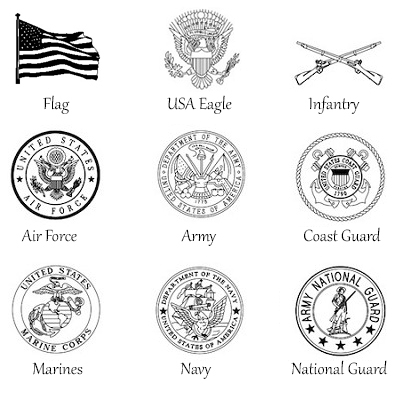 Families often choose to engrave the name, birth and death dates, and or a personal message of meaning. 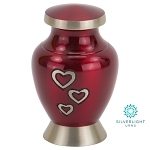 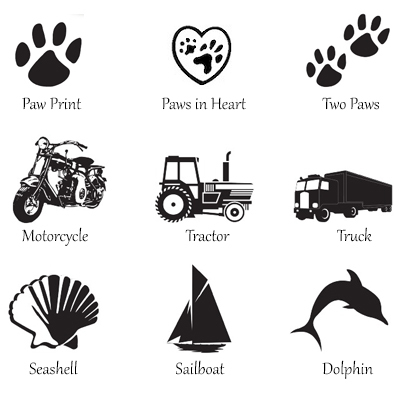 Font and artwork choices can be viewed in this product's Engraving Gallery. 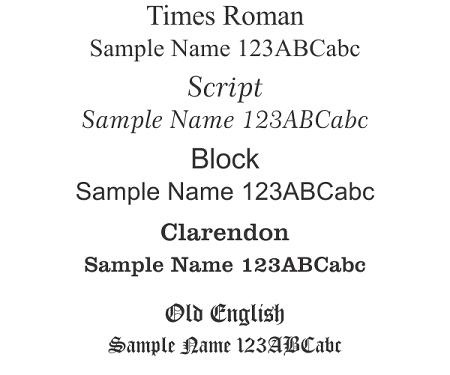 Artwork will be positioned to the left of text, if chosen. 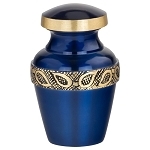 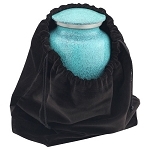 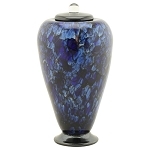 The Sapphire Blue Brass Urn in deep blue with stylish engraved band makes a statement.